Our centrifugal separators are designed especially for liquid-based applications. 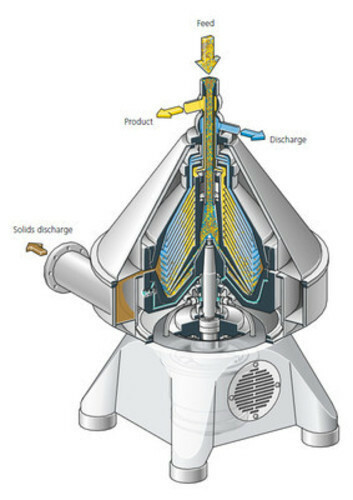 Using centrifugal force, they separate substances and solids from liquids. They are equally as effective at separating liquid mixtures at the same time as removing solids. It all started in 1989, shortly before India embarked on its epic journey of economic reforms. Modernization gradually became a relevant concept and the Indian industry accepted the challenging transition from the comforts of a protected economy to stand up against global competition. Time was ripe for the then parent organization Westfalia Separator AG, world leaders in separation technology to consolidate their presence in the South Asian subcontinent. On 26th September 1989 Westfalia Separator India Pvt. Ltd., a company dedicated to propogate the sale of Westfalia Separator equipment and provide adequate Customer support services was started. Earlier the activities of Westfalia Separator AG had been looked after by agency organizations. It has been a humble journey ? invigorating, exciting and enriching. As the Indian industry and the Indian economy moved ahead with giant strides, Westfalia Separator AG and their subsidiary organizations stepped in with innovative technologies , equipment and processes.